For those looking for a queen room accommodation, our modern spacious hotel room (34sqm) will serve your needs and comfort. The queen rooms are located on the ground floor, most with access to a walkout balcony. 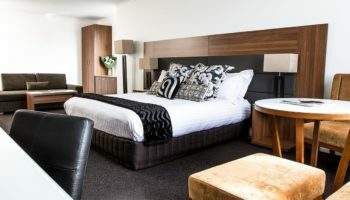 Lenna of Hobart’s Queen Rooms can comfortably ensure that your stay at Hobart is well-taken care of. Featuring queen size bed, maximum occupancy 3 guests (additional charges apply for 3rd person). 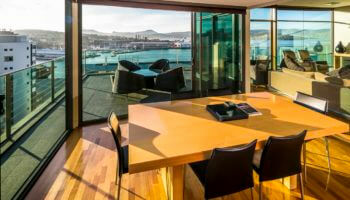 A short walk from historic Salamanca Place, Battery Point, Hobart CBD and waterfront of Sullivan’s Cove. 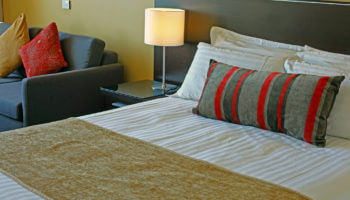 Our facilities are well-furnished and cater to our guests every need. Room rates based on 2 people.